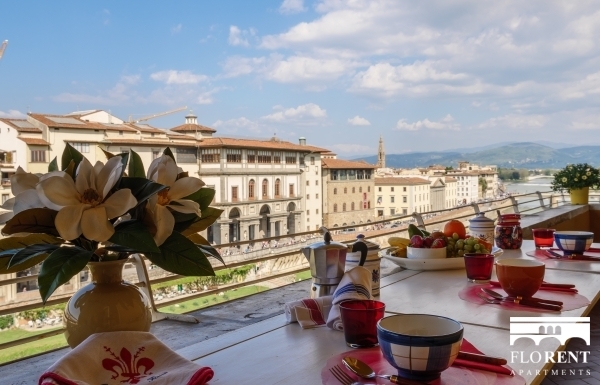 This majestic apartment precisely one hundred meters from Ponte Vecchio boasts breathtaking views that can be relished on your own personal terrace. 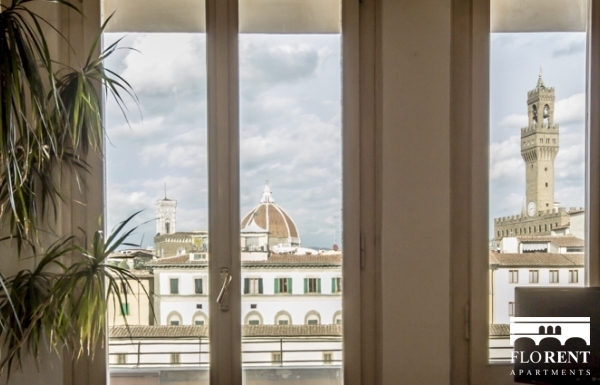 Located on the fifth floor of a refined building with an elevator, this two bedroom, two bathroom Via de Bardi apartment can comfortably accommodate up to three people. 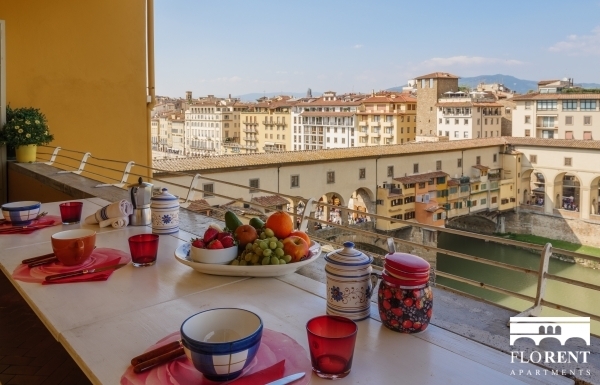 Once you have arrived inside this tastefully designed apartment, you will find yourself within a small foyer that leads to the graceful sitting room and dining area, detailed with dazzling lights and enticing double doors that open up to the terrace with unobstructed views of Ponte Vecchio, the Duomo, Palazzo Vecchio, and their surroundings. 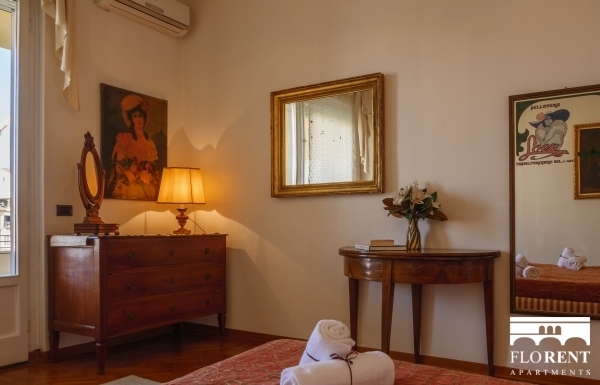 The lovely roomy master bedroom includes a king-size bed and large windows to allow natural sunlight into this space. 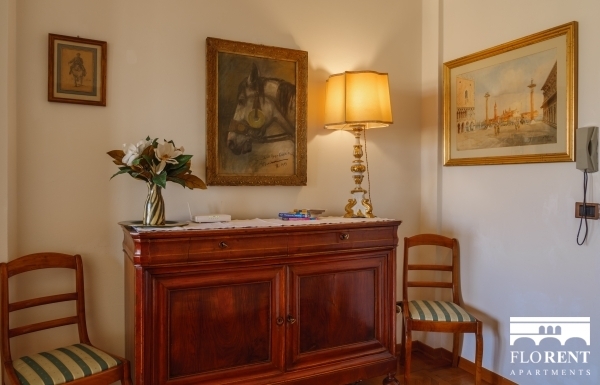 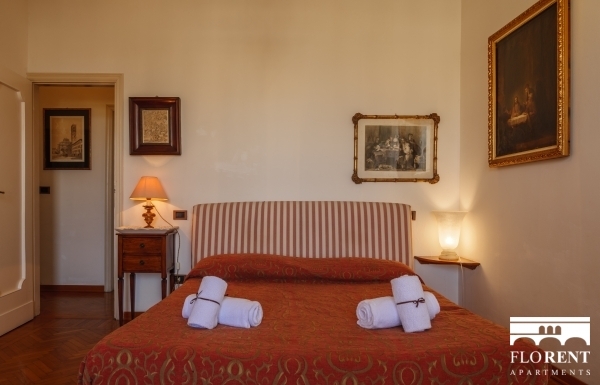 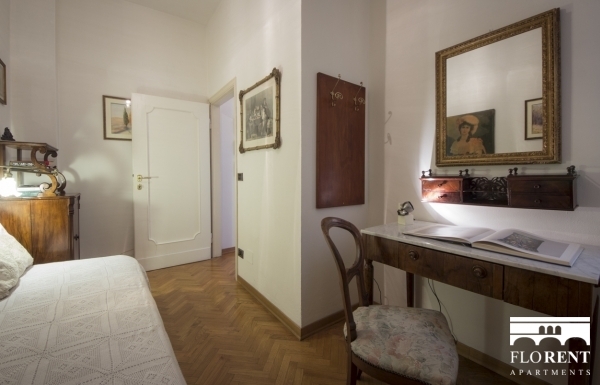 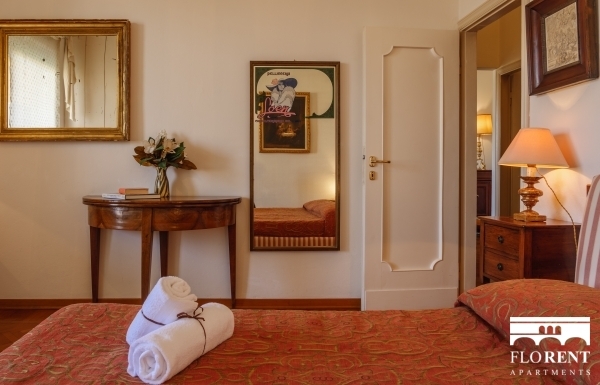 The second bedroom is delicately decorated with classic Florentine accents and includes a cozy single bed. 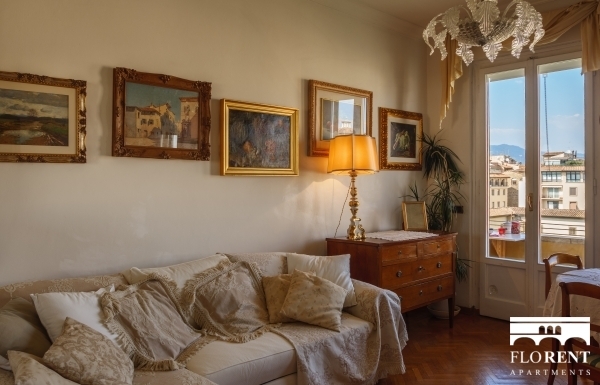 While the decor and the views of this apartment may immerse you into a more classical time period, you are not left without amenities such as a television, washing machine, Wifi, and air-conditioning. 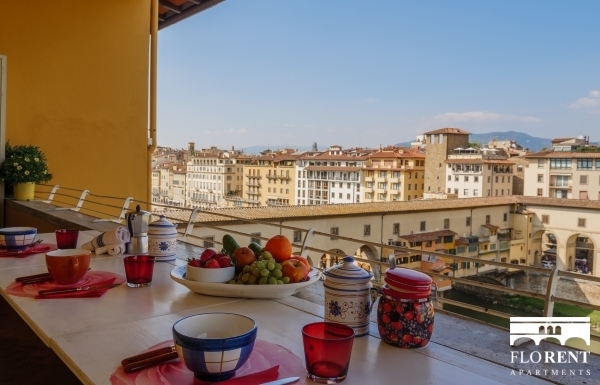 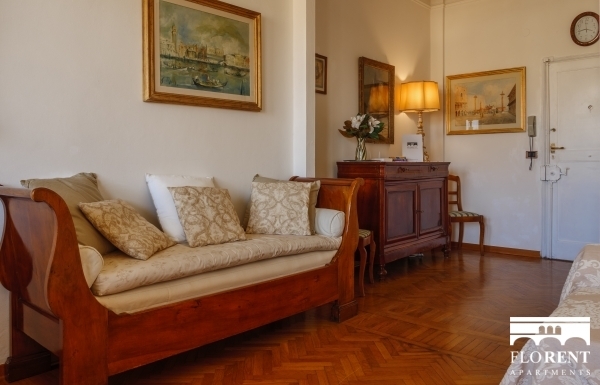 This lovely apartment featuring wonderful hardwood floors with golden and wooden accents provides you with the unique opportunity to take in spectacular Florentine panoramic views from the comfort of your private terrace while also just being centrally based, seconds away from Ponte Vecchio. 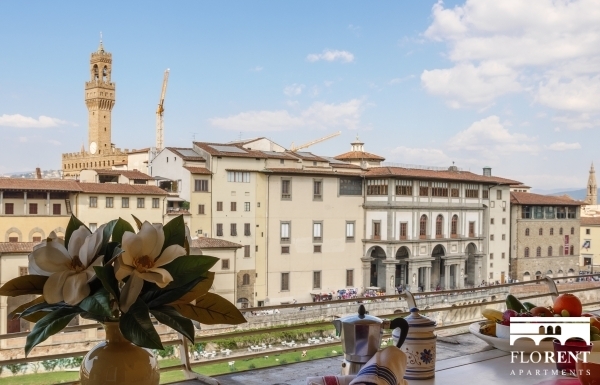 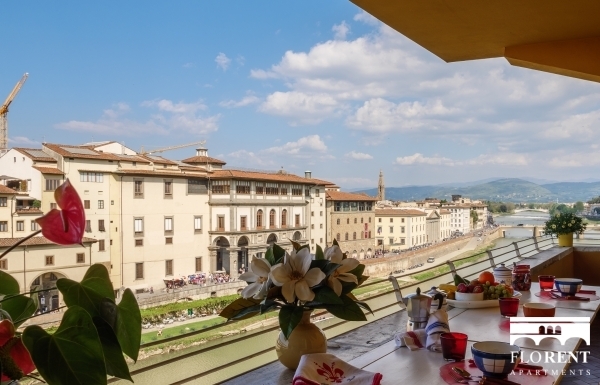 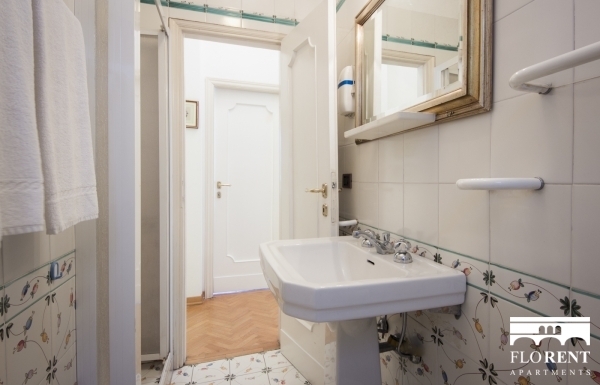 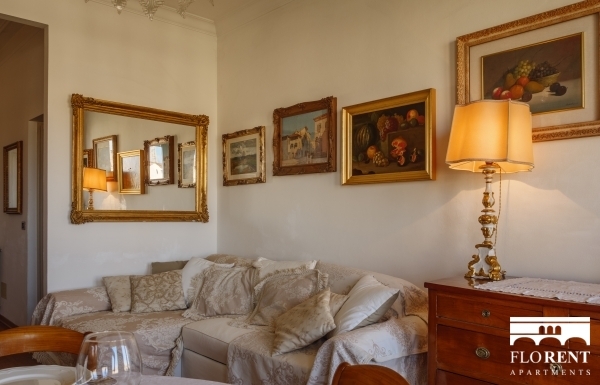 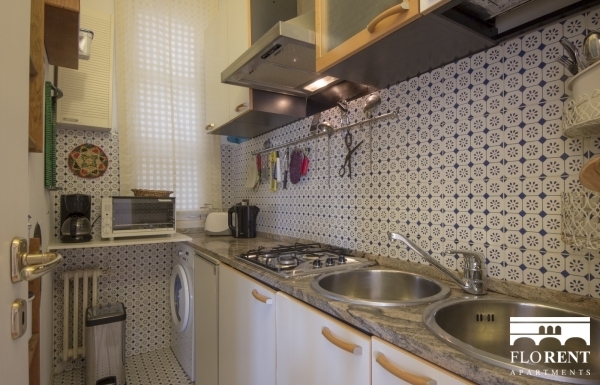 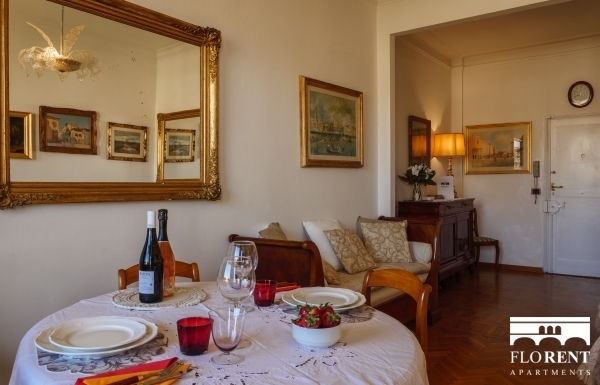 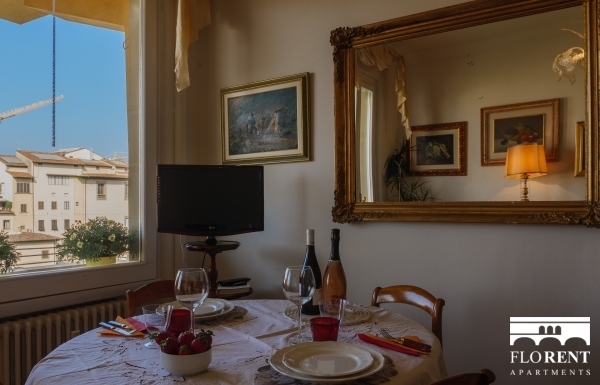 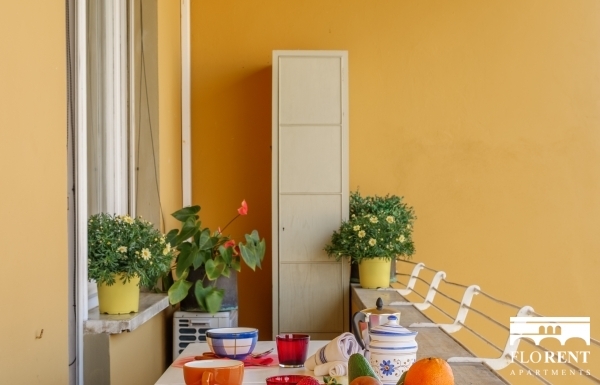 As this Via de Bardi apartment faces the wonderful Arno River, you are not disturbed with the buzz from the streets just one hundred meters from the alluring Ponte Vecchio. 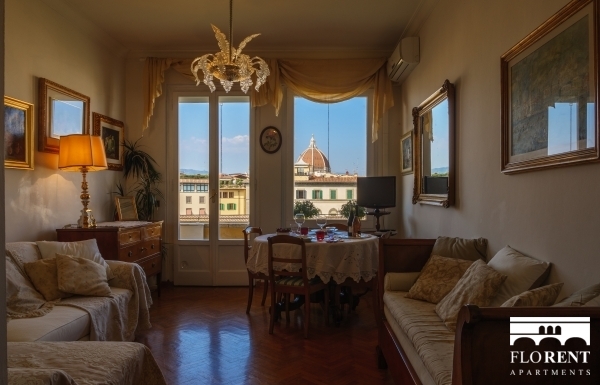 This location offers you the satisfaction of being situated within a historic and scenic area of Florence while also being at a moments distance from an array of restaurants, bars, grocery stores, and boutiques. 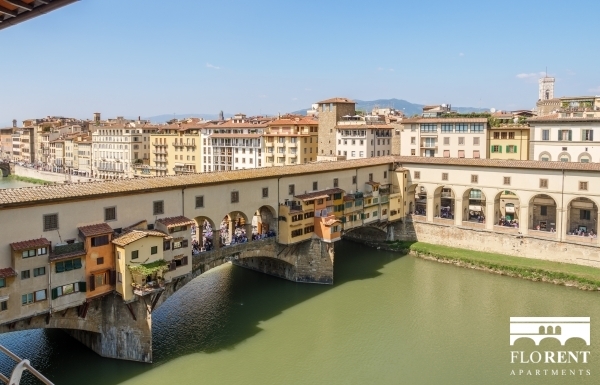 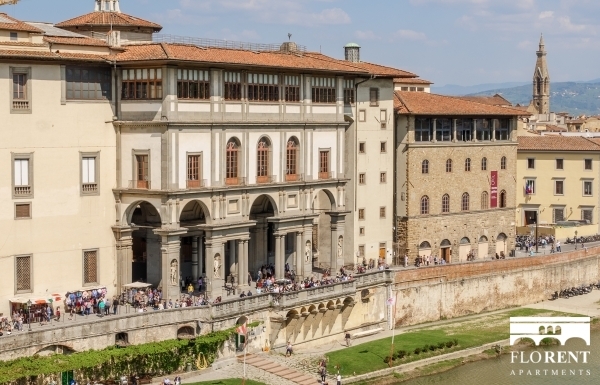 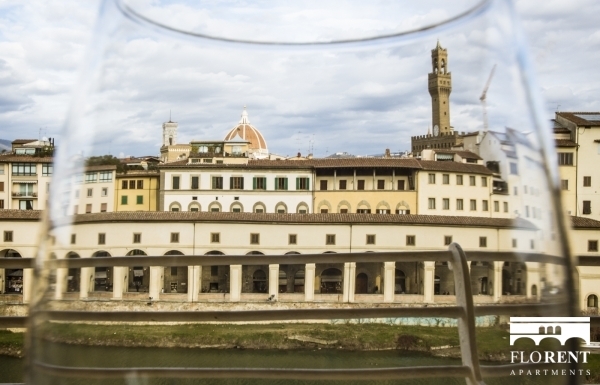 All of the fundamental destinations can be easily reached from this neighborhood on foot or by means of public transportation, with Pitti Palace, Uffizi Gallery, Santo Spirito, and Piazza della Signoria with Palazzo Vecchio all being within a five-minute walk. 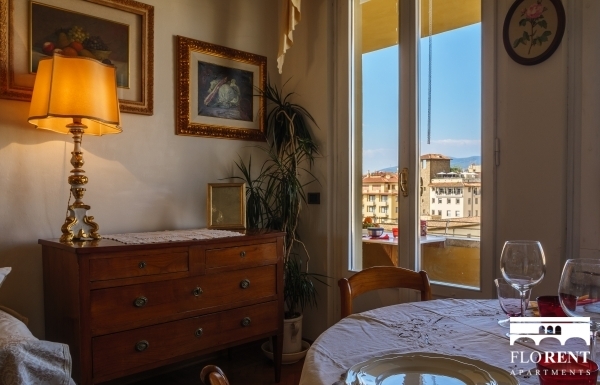 The Santa Maria Novella Train station is conveniently located fifteen minutes away by foot or by bus and typically can take less time by taxi.